Does it make sense to merge your company’s disaster recovery plan with your IT security recovery plan? If you take a look at how these two plans are carried out, and the motives for each, you’ll see what makes the difference. Let’s examine both. A recovery plan has implications to stop an active attack, learn from past mistakes and take corrective actions for potential future events. 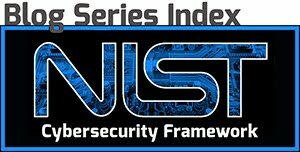 The National Institute of Standards and Technology (NIST) Cybersecurity Framework (CSF) provides a comprehensive guide in responding to a cyber event, protecting key assets against cyber intrusion and developing recovery plans following an incident. With a recovery plan in place, your organization can mitigate the risk of incurring irreversible damage. This builds a stronger posture from new strains of attack that would further compromise vital components of business activity. Small and medium-sized businesses (SMBs) are an easy target for hackers. More often, these businesses invest less resources on IT security, thinking that hackers are only interested in large-scale corporate businesses. Cybercriminals are motivated to make a quick buck, regardless of how small an enterprise is. The 2016 U.S. Security and Exchange Commission’s cybersecurity review states that “60% of small firms go out of business within six months of a data breach.” No one is immune to a cyber attack, but you can create a deterrent against these threats by putting more emphasis on cybersecurity. Think of it this way: You have a home emergency fund of X dollars. Your dishwasher breaks, your car’s AC is out and you have a plumbing leak. Now you get to prioritize how you spend X dollars with the knowledge that some things may not get repaired immediately. You also will have the knowledge of how long it will be before you have more money available for the emergency fund, and at a later time, you will re-prioritize how that money gets spent. A recovery plan is prioritizing the fixes, understanding what you need immediately and deciding what can wait. Start your recovery plan by making an asset inventory. Create a set of rules and procedures in responding to events. Assign key personnel to specific roles and responsibilities. Develop a recovery plan that defines priorities, objectives and processes to enable open communication in coordinating with the team performing restoration in a timely manner. Re-adjust your detection platform and incident response plan to continue implementing recovery activities while ensuring quick response for new threats. An unnoticed breach poses inconceivable risks to your data storage archive. Recognize that a breach is occurring. Early detection makes a huge difference in recovery. Early warning systems allow rapid response implementation to contain the breach promptly. Inhibit links between layered networks to limit the damage. Part of recovery process is knowing what could have been done to avoid the intrusive activity. Examine entry points that cause vulnerability and fix or alleviate them. Review lessons learned to apply concrete changes in improving mitigation in cybersecurity capabilities. Security competencies are meant to be improved continuously as you obtain skills, knowledge and resources after a troublesome incident. Employ initiatives that focus on employee enhancement trainings. As a frontline defense, they carry out the responsibilities in maintaining security standards. The best defense doesn’t need to be costly. Number of days before discovery was made? Total cost of the breach recovery? After dealing with tremendous pressure on your incident response and recovery processes, it would be advantageous to re-invent stiffer security policies. Restoring the integral assets anew requires testing and multiple dry runs to effectively evaluate the improvements made. The new version of your security infrastructure and plan is now able to better address future incidents. At a loss for what to do or where to start? Do you think you need someone helping you out on system recovery processes? Do you need assistance in developing your recovery plan? Our team of cyber experts is willing to impart skills and expertise in maintaining robust support. Email us at info@analecta-llc.com or visit our website.